The Best Place to Find Your New Best Friend! Please use the buttons below to check out all we have to offer on our web site. Welcome to Pup4u's home on the web. We hope you enjoy looking at our puppy pictures and find the friend you've always wanted. As long time dog breeders we offer an excellent selection of dogs and have a wide variety of dog breeds, both big and small and great color and size variations within the breeds. And also, the size variations within the breeds, like Giant Schnauzers, Standard Schnauzers, and Mini Schnauzers. We offer mini schnauzers in white also. 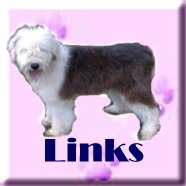 We also offer several hard to find breeds, like Skye and Welsh Terriers, Kerry Blue Terriers, and Bearded Collies. From the tallest terrier, (Airedale) to the smallest! (Chihuahua) If your breed is not currently available, you are welcome to contact us and request to be added to our waiting list. Those on the list get first priority when pups are born. As a professional dog breeder, all our puppies are raised right here on the farm, we only sell pups that we have raised. 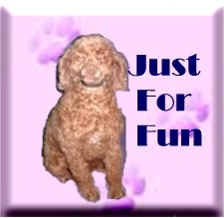 We have many years of experience as a purebred dog breeder. There are so many things to take into consideration when breeding dogs. It’s certainly nice to see those Champions in the pedigree, to assure adherence to the breed standard, but it’s equally important to consider the overall health and disposition of the dog. Longevity and the mothering instinct are also important, the female must not only raise her pups, she is also their first teacher on their road to becoming healthy, well rounded individuals. Our pups are never weaned young, they are allowed to stay with their mother to learn all the social graces they will need as adults. Pups are socialized and handled daily. They receive the vaccinations necessary for optimum health. Complete records of all immunizations and wormings are included with each pup. We stand behind all our pups with an excellent health guarantee. If you are unsure of which breed is right for you, we can also help you there! Years of experience with numerous breeds enables us to give you an honest and fair evaluation of the dog breeds you are considering. No pressure to pick a dog that might be unsuitable for your family, like you might get from someone with only one breed to offer. Sure, bulldogs are cool looking dogs, but if you want a jogging companion, they would not be a good choice! Do a lot of horse back riding? A cute little black and tan Dachshund may have a devil of a time keeping up, but a big old black and tan Airedale might be just your style! Want cuddly? How about a Japanese Chin, Chihuahua, Brussels Griffon, or Shih tzu? And lets not forget the terriers, lively, fun loving and always ready to romp and play with the children. Please visit often! We will be adding more useful information and updating the puppy page frequently. Use the buttons on the left to learn more about us and our pups. And if you have any questions that aren't answered here on the web site, please feel free to email us. We are professional breeders. We have been breeding and raising a variety of purebred dogs for over 30 years. We have registered puppies with a long line of distinguished pedigrees. Many of the parents of our puppies have outstanding bloodlines. As private dog breeders we spend quality time with our puppies and socialize them before they are placed in your care. We invite you to visit us to see our socialization techniques and living conditions. We hope that our web site will help you get to know us, our philosophy and our facilities. 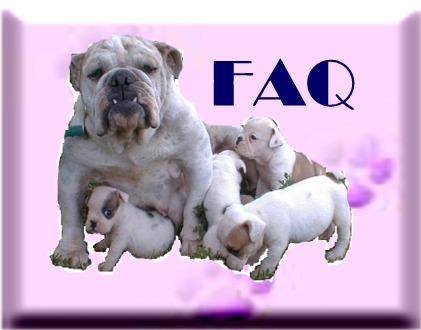 Please feel free to browse our site and don't hesitate to contact us with your questions regarding our dogs for sale. All of the dogs pictured on these pages are our very own dogs. I raised the dogs, took the pictures, and made the graphics. If you need graphics for your web site, make your own! May the Bird of Paradise fly up your nose. We now offer micro chipping as an option for our puppy customers. 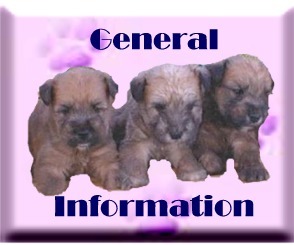 If you would like to go directly to the information page about the pups that are currently available, just click on the breed below.